Malayalam superstar Mohanlal grabbed eyeballs with his mallu stylish appearance at the South Indian Stunt Directors and Actors Union’s golden jubilee celebrations. The event held in Chennai the other day saw participation of leading actors including Rajinikanth, Surya, Dhanush, Karthi, Vijay Sethupathi, Vikaram and Arya. 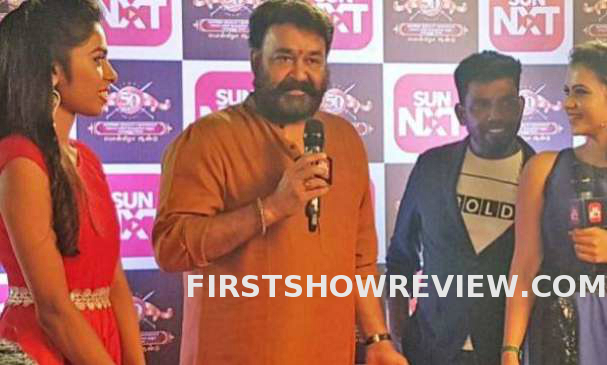 Mohanlal first public event after his way back from Bhutan sojourn. Sporting moustache and beard, the actor upped the glamour quotient by donning an orange kurtha and saffron dhothi.